This 10-day lodge safari in Uganda will take you to see the wildlife, landscapes, people, forests and mountains of one of the most beautiful countries in Africa. On this small-group safari you will see rhinos, tree climbing lions and the roaring Murchison Falls. You will join a walking safari in Lake Mburo National Park, go on a boat trip and hike to see chimpanzees. 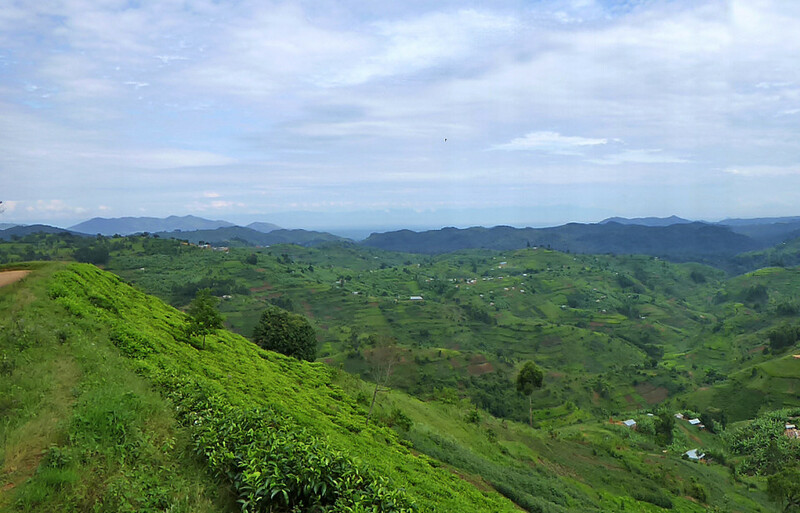 The highlight of the trip is the trekking to see the gorillas in the forests of the Bwindi Impenetrable National Park. After breakfast you will set off on your adventure to the Murchison Falls National Park. You should arrive here in the afternoon and will go directly to the roaring Murchison Falls where the Nile River squeezes through a 7 m gap in the rock and plunges down a 43 m waterfall below. After a picnic and crossing the river you will continue on a game drive in the park. You should be able to spot hippos, crocodiles and many water birds around the river as well as elephants, Rothschild’s giraffes, Cape buffalos, hartebeests and Uganda kobs - a type of water buck. You will arrive at your accommodation around supper time. Overnight at either the historical Paraa Lodge (standard) or in a tent at the family-run Murchison River Lodge (basic). This morning will be spent on an extensive game drive in the beautiful park. 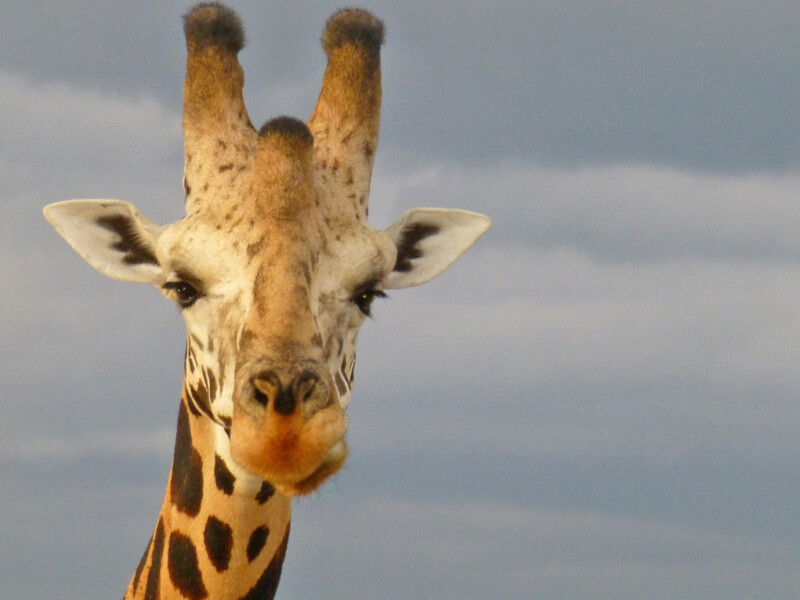 Your experienced guide will take you to where the most interesting animals will be found, be it some of the 450 bird species, the forests with monkeys and baboons or the grasslands with buffalos, lions and Uganda's native Rothschild's giraffes. After lunch at the lodge you will join a 3-hour boat trip on the Nile River to the Murchison Falls. From the boat you should see a host of animals coming for drinks at the river. You will spend another night at last night's lodge. After breakfast around 8 AM you will be picked up at your lodge .After a short welcome and briefing you will set off on your adventure to Lake Mburo National Park. You should arrive in the afternoon. A relatively small park, Lake Mburo's landscapes vary from grassy hills to five lakes connected by a swampy wetland area. The largest is Lake Mburo. After checking in at Mantana Tented Camp (standard) or Mburo Safari Lodge (basic), you will join a game drive and a walking safari accompanied by an armed ranger. Bird lovers will be kept busy with more than 300 species. Mammals you might see including buffalos, elands and zebras as well as topis, sitatungas and hippos. 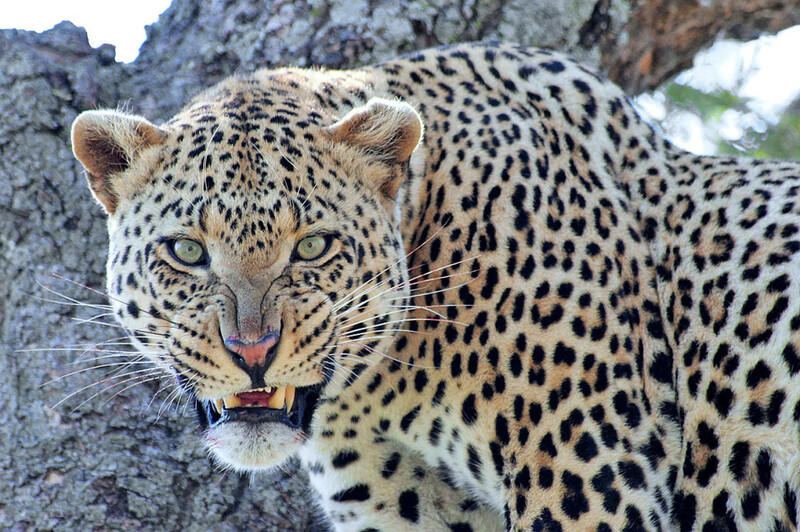 Nocturnal animals such as leopards, bushpigs and hyenas live in the park as well. Lions have been reintroduced into the park in 2012. Today you can go for a boat trip (not included in tour price) on Lake Mburo. From the boat you will see hippos, crocodiles, and some unique birds such as the shoebill stork and the fish eagle. Your accompanying guide will tell you more about the animals and birds of the park. Around midday you will depart for the next destination - the Bwindi Impenetrable National Park in the southwest of Uganda. The park is a UNESCO World Heritage Site and home to over 120 mammals, 220 butterfly and over 340 bird species. If there is time, you will go on a short hike to prepare for the next day's gorilla trekking. Tonight you will stay at either Gorilla Mist Camp (standard) or Gift of Nature Lodge (basic). Those not joining the gorilla trekking today will have the day at leisure to explore the park. Today will probably be the best day of the tour: you will trek in the forest to find the last wild-living mountain gorillas. They live in family groups in the Bwindi National Park's forests and are used to the presence of humans. The groups consist of up to 20 animals with a leader called a 'silverback'. This huge male can weight up to 230kg. Visitors are limited to eight per group and will spend one hour with the gorillas. 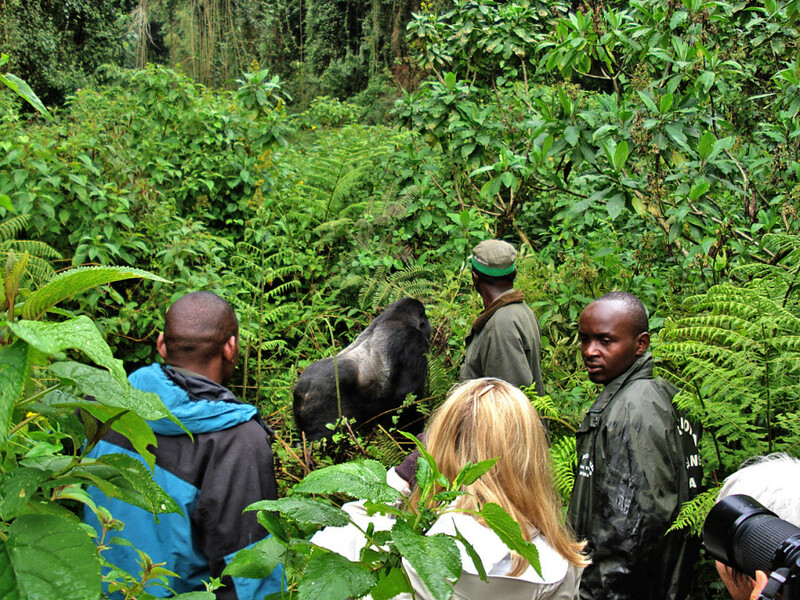 After a short briefing you will start the trek to find the gorillas - this can take between one and six hours. Rangers have been sent ahead to locate the primates and will radio their position to your guide. You will see the animals eating, playing and interacting with each other in a human-like way. The experience with these gentle giants leaves even the most jaded Africa-traveller in awe. After your return to the park office, you will be taken back to the lodge. You spend another night at Gorilla Mist Camp (standard) or Gift of Nature Lodge (basic). You will leave just after breakfast for the next destination, the Queen Elizabeth National Park in the west of the country. On your way to your lodge, you will go on a game drive in the park and might be lucky to spot the black-mained tree-climbing lions and the topi antelope in the southern Ishasha sector of the park. Other predators including leopards, hyenas and jackals. You will see large herds of buffalo, bushbuck and the smelly waterbuck and might be lucky to spot elephant as they often cross back to the Congo. You will overnight at Ishasha Wilderness Camp (standard) or at Kihihi Savannah Resort (basic). This morning will be spent on an extensive game drive as you travel to your lodge in the northern part of the national park: Katara Lodge (standard) or Queen Elizabeth Bush Lodge (basic). After a morning game drive you will continue towards the moist forests of the Kibale National Park south from Queen Elizabeth National Park. The forests of these two parks form a 180km green corridor. 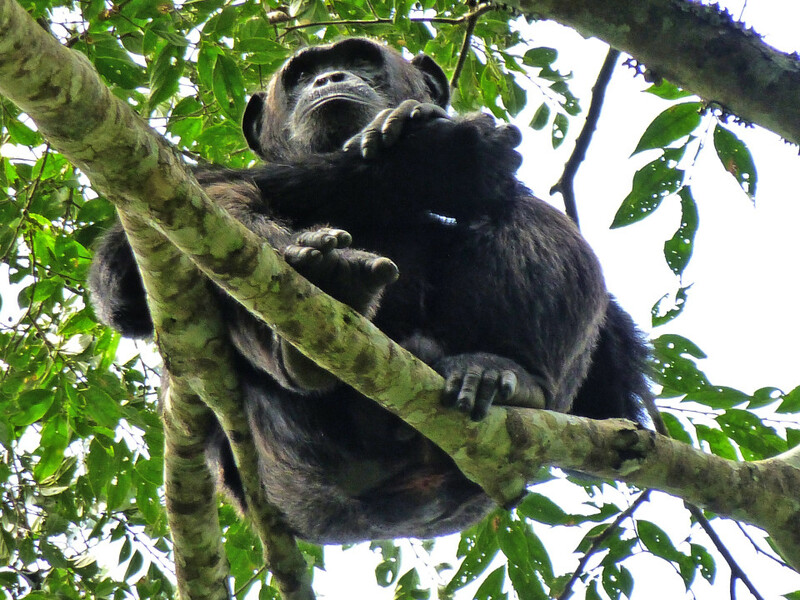 Kibale is famous for the 13 primate species living in the evergreen forests. More than 320 bird species, 60 mammals and 250 types of trees occur in this diverse park. You will spend the night in Kibale Primate Lodge (standard) right in the forest or at Chimpanzee Forest Guesthouse (basic) on a tea-farm outside the park. After breakfast you will meet at the national park's office for a pre-trek briefing today, before you set off to track the park's chimpanzees. Depending on the location of the primate groups, you should trek for one to two hours and spend an hour with them, accompanied by a ranger, of course. Family groups can be as big as 130 animals and will consist of males, females and troops of babies. You will see them noisily eat, play, scurrying past you and storming up and down the trees - fascinating. You should also see many other species of primates such as the rare L’Hoest’s monkey, blue monkeys, black and white colobus, red-tailed monkeys, bush babies and the cheeked mangabey. After your return to the park's office, you will continue on the final stretch of your safari and you will reach Entebbe/Kampala by 18:00. You will be taken to a hotel of your choice (optional) or directly to the airport from where you can continue your safari in Africa. - We make use of 4x4 safari vehicles (i.e. Toyota Landcruiser) or minibuses. All vehicles are equipped with large windows, offering good opportunities for game viewing and photography. All have a pop up roof as well! - Please note that all USD banknotes must be printed after 2006 as any earlier dated notes are not valid and won't be accepted. How fit do I need to be for this tour? - Although you do not need to be extremely sporty, you should be moderately fit as the duration of the trek can be anything between 3 and 8 hours. - The safari starts and ends in Uganda, a yellow fever region, which is why we recommend a yellow fever vaccination. 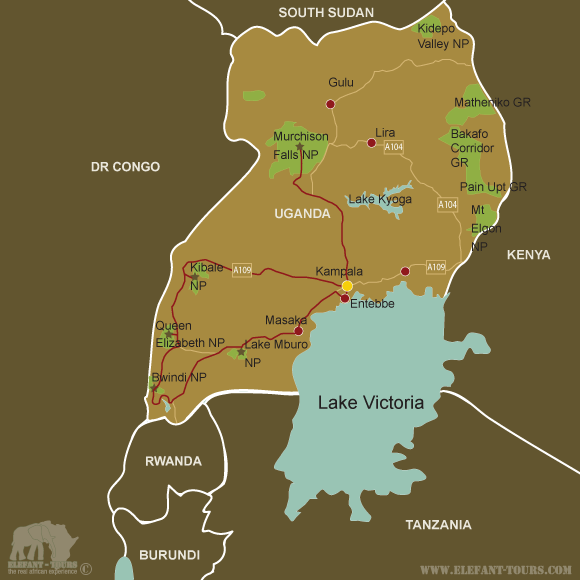 - Uganda is also situated within a malaria area, wherefore we would recommend some precautions. Please speak to your doctor or travel clinic about the different prophylaxis and their effects and side effects. - Although Uganda does not require proof of immunization against Tetanus, Diphtheria, Polio and Hepatitis A & B, we nevertheless recommend those vaccinations.